It is often brought to the attention of the reader that the dwellers in the Nile Valley relied on the annual inundation of the River Nile to allow their crops to grow. It is also well known that the Ancient Egyptians in Dynastic times involved the seasons of the Nile in their religion. This may well lead us to believe that Egypt always was, in Herodotus’ words, ‘the gift of the Nile’. However, what is less often discussed, but what is in fact a growing area of research, is the evidence to show that humans dwelled in the deserts to the East and West of the Nile Valley during the Neolithic period. This collection of papers from a symposium held at the British Museum brings together researchers from a variety of disciplines, who have all contributed to increasing our knowledge of human occupation of the Sahara desert, including when and why such occupation might have occurred, what human society might have been like at these times, and whether the desert peoples eventually formed the basis of the later Egyptian civilisation in the Nile Valley. Also discussed is the evidence for the use of the desert by the Dynastic Egyptian civilisation. Each paper was, at the time it was presented, at the forefront of research in this area, which is throwing up new and interesting finds all the time. Each contributor lays down the ideas on which their research is based, followed by a brief discussion of their field work in their chosen area, and draws possible conclusions. Of course, much evidence is still fragmentary, but there are tantalising glimpses at what may be possible future finds. One might suppose that a collection of papers such as this would be a difficult read; and in some senses this will be the case for the layman. Many concepts are assumed knowledge, such as the locations of the oases and wadis of the desert, the time periods which are being considered (somewhat confusingly for many people, dates are often left in uncalibrated radiocarbon years), and on occasions the customs of later Egyptian peoples. This is to be expected, as the papers were originally written for an audience who would more than likely have a working knowledge of Egyptology. 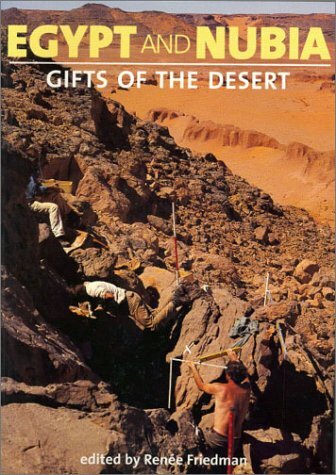 Readers who buy this book looking for a beginner’s guide to the desert will therefore be disappointed. However, if you are prepared to enter into the spirit of this book, and have a genuine interest in the prehistory of Egypt and the Sudan, you could find yourself engrossed in its pages, curled up with a large mug of coffee, as you find evidence from archaeologists, geologists, botanists, sociologists, anthropologists and Egyptologists laid out before you on a surprisingly wide variety of subjects. These include the cosmological beliefs of the early Egyptians, religious rituals of the desert societies of prehistoric Egypt, gold mining, politics, and the maintenance of order at the Dakhleh Oasis. 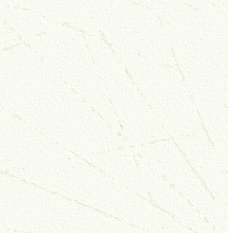 Because this is a collection of papers, most of which are not too long, it is possible to pick up a new theme when the mood takes you. The style is easy-going for what are essentially scientific reports - there are no pages of statistics, or incomprehensible diagrams - each contributor writes on their subject in a very readable manner, making the scientific or archaeological evidence interpretable to most. It is noticeable that a lot of the contributors move away from the more rigorous form of Egyptological journals, and can include trains of thought which are not necessarily completely relevant - I particularly enjoyed Rudolph Kuper’s tales of the desert explorers of old (including Lazlo Almasy, on whom The English Patient was based), which I felt brought a feeling of the excitement of archaeology into his report. The prehistory of Egypt and the archaeology of the desert are two areas of Egyptology that are often neglected in written accounts of the subject. This book, while not for the casual reader, is a great starting point for those who are genuinely interested to gain an appreciation of the wealth of research in this area. Why another book on Pyramids? This is a question that Aidan Dodson asks himself in his preface to the book, but also one that many potential buyers of this book will undoubtedly ask too. As the author points out, there are indeed a number of authoritative books on the subject already in print (as well as a number of books with only a tenuous link to the archaeology). His aim is to provide a well-illustrated handbook of all the examples of pyramids in Egypt, belonging to kings and queens. Has he succeeded? The answer has to be yes. 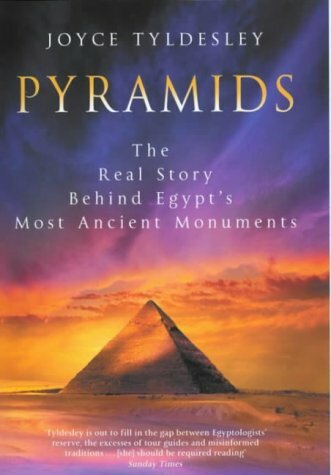 The book is small compared with some on the subject, with 144 pages, but these pages are packed with concise and very readable information about all the pyramids described. The book is well-illustrated and as most of the photographs have been taken by the author, he has clearly visited most, if not all of the sites he is writing about, and his Egyptological contacts mean that he has been talking to Egyptologists in the field, which ensures that all the information is as up to date as possible. The book charts the development of pyramids and their decline as funerary monuments. Introductory chapters look at tomb building and the Egyptians beliefs in the afterlife, which puts the monuments in their historical and religious context. We also learn of the modern exploration of the monuments, plus practical and very useful information on how to visit them today. There then follows a chronological examination of the pyramids from the earliest to the latest examples. All the main sites are included as well as places such as Lisht and South Saqqara, which are rarely visited by tourists. Included are chapters that specifically look at pyramid building in the 17th and 18th dynasties as well as a whole chapter devoted to the pyramid burials of Queens of Egypt - monuments which are often overlooked. The book is well produced and well illustrated. Particularly commendable are the excellent and very clear plans of all the sites. It also has a large bibliography, always useful to those who are inspired to read more on the subject. For the latest information, this book is a must, and it is a hardback book the price of which will not break the bank. Wait! Don’t run away from the ‘conspiracy theorist’ cover - this is not a pyramidology book, it’s not even wholly about pyramids. I have to admit that I was skeptical about this book, given the current wave of pyramid documentaries and books all saying more or less the same thing. It begs the question, ‘In what way will this book be different?’ However, I was very pleasantly surprised to find that the ways in which this book is different from its predecessors are many. Despite the cover, and the title which doesn’t even begin to hint at the scope of this book, you have here a totally up to date and allencompassing look at the history of the lead up to the building of Egypt’s most recognisable monuments, and of the reasons for their decline. Joyce Tyldesley, author of eight other popular Egyptology books - including the brilliant Egypt’s Golden Empire and the thoroughly fascinating Private Lives of the Pharaohs, has taken on a subject which has previously been overexposed and under explored. The sheer amount of knowledge held in this book is, to me, outstanding, and can be judged from the extensive bibliography (from which are excluded academic journals, on the grounds that the average reader won‘t have access to them). Tyldesley begins her work in Predynastic times, an area often absent from general Egyptology books, but one which proves to be full of insight into the minds and culture of the Dynastic Egyptians. The content of these chapters is excellent - a beginner’s guide to the Badarian and Naqada cultures, discussion of funerary and possible social habits, and the evidence of what may have happened as Dynasty I approached. And here is another point about Tyldesley’s work - she doesn’t simply expect you to believe what she says - she shows you the proof. At every stage there are examples of exploration and research to emphasise her point. Also contained in this first section of pre-Pyramid history is a chapter on the gods of early Egypt, and a look at how burial rituals progressed from Predynastic times to the building of the first pyramids. This, I believe, gives the reader a sound knowledge from which their understanding of the reasons for pyramid building will greatly benefit. Tyldesley understands the need for this knowledge, and unlike many writers before her, refuses to skip over it. The second part of the book covers the main pyramids themselves, with chapters on Djoser’s step pyramid, and the buildings of the pharaoh Snefru. These chapters do not simply deal with the actual stone structures themselves, but discuss in detail the times in which they were built. The roles of kingship, politics, religion and trade are quite rightly emphasised. The third chapter follows neatly on with the arrival of the biggest, and most famous of them all: Khufu’s great pyramid at Giza. Of course, no work on the pyramids would be complete without a look at how they may have been built - and this too is included. The history of the pyramids is then brought to its conclusion with the reasons for pyramids becoming less prominent, and the remains of the pyramids built right through to the New Kingdom. This book achieves what many other have found very difficult to accomplish - a study of an architectural phenomenon which is not confined to the bricks of which it was made. The subjects brought into this book include Egyptian maths, medicine, magic and cannibalism to name but a few. The ease with which Tyldesley moves you from one subject to the next makes this an engrossing book. After reading it, taking into account the huge amount of knowledge contained within, it would be no lie to assume that you are no longer a pyramid novice. Most modern surveys of ancient Egyptian religion (for instance, the three part series on magic by Dr Panagiotis Kousoulis in this magazine, AE Volume 2 Issues 1-3) take the holistic view that elements such as magic, religion and everyday life cannot be neatly separated. Taking this a step further, what did ancient religious thought contribute to modern religious beliefs, for it evidently did so? ‘Related to the Egyptian Hymn to the Sun on the recording is the Hebrew Psalm 104. It is an exquisite poetic text celebrating the forces of nature, and is considered by many Biblical scholars to have been inspired by Akhenaten’s earlier hymn. This Hebrew/Egyptian connection is a theme that runs throughout both CD’s. Too often it is the negative side of the relationship between these two cultures that has been emphasized. Yet the Jews lived in ancient Egypt for a thousand years. As civilizations living side by side, there was much creative and spiritual cross-fertilization.’ These are the words of musician Jim Berenholz, who has taken a brave step in deciding to simply celebrate the cross-fertilisation rather than discuss it academically. The musical work mentioned is his own collaboration with over 50 musicians of diverse backgrounds. The stated aims of the result, ‘The Psalms of Ra’, is intended as a ‘creative contribution for peace, particularly in the Middle East’. He also describes it as an "acoustic ritual". The music draws from an immense range of musical traditions and textual sources. These include texts from Hebrew liturgy; the ‘Hymn to the Sun’ attributed to Akhenaten (here given pronunciation by William Murnane); Sumerian and Mayan legends, West African oral history and Kabbalistic sources. An Arabic text for Psalm 133 was contributed by Jihad Racy. The CDs encompass two time periods – ‘Sunrise to Sunset’, and ‘Sunset to Sunrise’. The whole is certainly a paean to world music and musicians; its inspiration can only be highly commended and is clearly the result of Jim Berenholz’s own passion after travelling widely and learning about many musical sources. He contributed his own musical setting of the Kaddish, the Jewish prayer of mourning, after the death of his own parents. So there’s a strongly personal element to some of the music, which assists in its power. And no-one should ever underestimate the power of music, food and comfort in breaching cultural barriers. Musically, the two CDs are principally reverential and often quite formal although some may take exception to what could be described as a ‘New Age’ approach to some pieces. (The whole is available with texts and explanations which can be a bit overwhelming and distracting.) I particularly liked the stately, swaying ‘Tua Ra’ and if there was unintentional humour in another piece – you try taking repeated vocalisations of ‘Hu Ra’ absolutely seriously – then perhaps that was no bad thing. It is not a recreation of ancient Egyptian music – as Doug Irvine pointed out in AE Vol 2 Issue 2, this isn’t possible. However, it’s an excellent, inspired idea and I would like to listen to further eclectic musical works, perhaps of a more upbeat and relaxed type, by such a group of musical specialists working in harmony. Have you ever stood in front of an Egyptian statue, sarcophagus or stone jar and asked yourself the question ‘how did they do that?’Well, the author of this new book asked himself the same question and realised that no one really knew the answer, though fanciful theories abounded. The result was a project that lasted over twenty-six years, taking an incredible amount of hard work, research and perseverance. Much of the initial research was undertaken as part of a research degree in ancient Egyptian technology, looking in particular at the sites of Kahun and Gurob. The author, a trained engineer and also a qualified High School teacher of technology and history, realised that all the evidence was there to see. Paintings and reliefs showed tools and provided glimpses into the ancient workshops. A few tools survived and there was also the real evidence of the objects themselves, clear markings, which, if interpreted correctly, could reveal much about how they were made. Denys Stocks effectively re-learnt the long-lost ancient techniques. He made copies of known ancient tools and reconstructions of other tools, examples of which have not survived, even going so far as to build a furnace in his garage so he could cast copper and bronze tools. He then had to learn how to use them. The experiments with the tools, working on the same stones used by the ancient Egyptians, revealed how even the hardest could be cut and shaped. By looking at the development of tools over thousands of years he has revealed the technical innovations and advances made by the ancient craftworkers. The experiments range from cutting delicate hieroglyphs, to the cutting and moving of huge blocks of granite for sarcophagi and the even larger limestone blocks used in the construction of the pyramids. This book makes for really fascinating reading and it is apparent that the ancient craftworkers could achieve remarkable results using relatively simple technology, but a lot of practical experience passed on from generation to generation and, until now at least, lost to us centuries ago. It is fair to say that the results of the author’s work have been both a surprise and revelation to many Egyptologists. The book is easy to read and well illustrated in black and white and although it does contain a lot of technical details, these are understandable even to the nontechnical reader. An excellent glossary explains the technical terms used. A useful bibliography will enable those who wish to follow up some of the references to do so. In the ten chapters we can learn, amongst other things, about cutting tools (in particular the importance of flint), how to make stone vessels, cut stone for a sarcophagus, fit stones together, drill stone beads and encounter evidence for tools specifically adapted for mass production. This book should be compulsory reading for all those who attempt to comment on many of the so-called ‘mysteries’ of ancient Egypt. The research is detailed and the results of great importance to Egyptology. This is already apparent, as the author’s findings have been accepted by Egyptologists working in Egypt, who will no doubt, over the coming years, build on the work that Denys Stocks started. This has to be good news and will result in the process of de-mystifying many of the ideas some people have about the ancient Egyptians, whilst still leaving us to marvel at the outstanding skills of the craftworkers, producing amazing objects with their simple, but very effective technology. Many of the tools made for the research have recently been sent to Egypt, to Dr.
Ragab’s Pharaonic village, where they are used in demonstrations. The author had the interesting task of teaching modern Egyptians the lost skills of their ancient ancestors. My only criticisms of the book - aimed at the publishers rather than the author, are the slightly misleading title – ‘Experiments in Egyptian Archaeology,’ (which is the one bookshops will refer to) means nothing really to me and if I did analyse it, I would not make the connection to stone working. 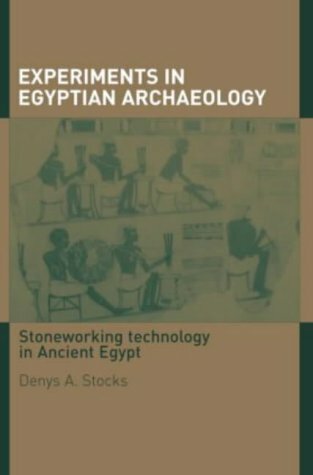 The sub-title ‘Stoneworking technology in Ancient Egypt’ should have been, in my opinion, the main title. The second criticism is the price, which is probably well out of the range of most people who would be interested. This book will be a standard reference book for many years to come; I have no doubt, and hopefully will be in many libraries. If you can afford it, then it is compulsive reading and you will, I guarantee, not be able to look at any Egyptian stone object in the same way again (and you will never need to ask the question I asked at the beginning of this review). It is hoped that the author will be able to produce a ‘popular’ version of the book in the not too distant future.